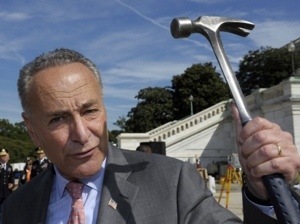 According to the FBI annual crime statistics, the number of murders committed annually with hammers and clubs far outnumbers the number of murders committed with a rifle. This entry was posted in Blogging, Magical thinking and tagged gun violence, hammer violence, Violence by Sci Fi Engineer. Bookmark the permalink.